The doctors in. A brand new Durif. We had the pleasure recently of working with Angela, Eliza and Nick Brown on a delectably, fancy Durif called ‘The Doctor’. 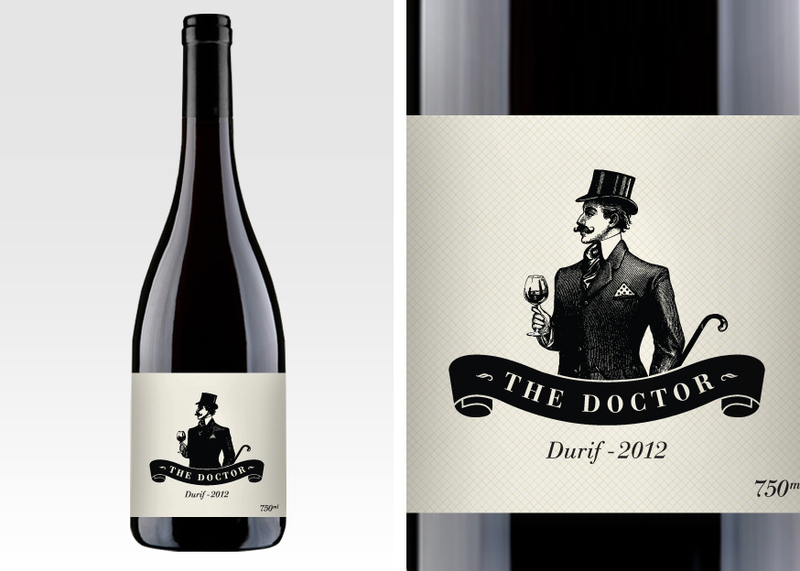 We instantly had an image of a rather dapper and eccentric doctor from a charming era, this is what we came up with. Watch this space for his soon to be released partners in crime. Btw The Doc recommends a glass whenever you feel the need for something superb… So, fancy a tipple?